Remember the tiny diy greenhouse? First leafy greens are visible! Planted some daffodil bulbs in our "spring basket" two weeks ago. 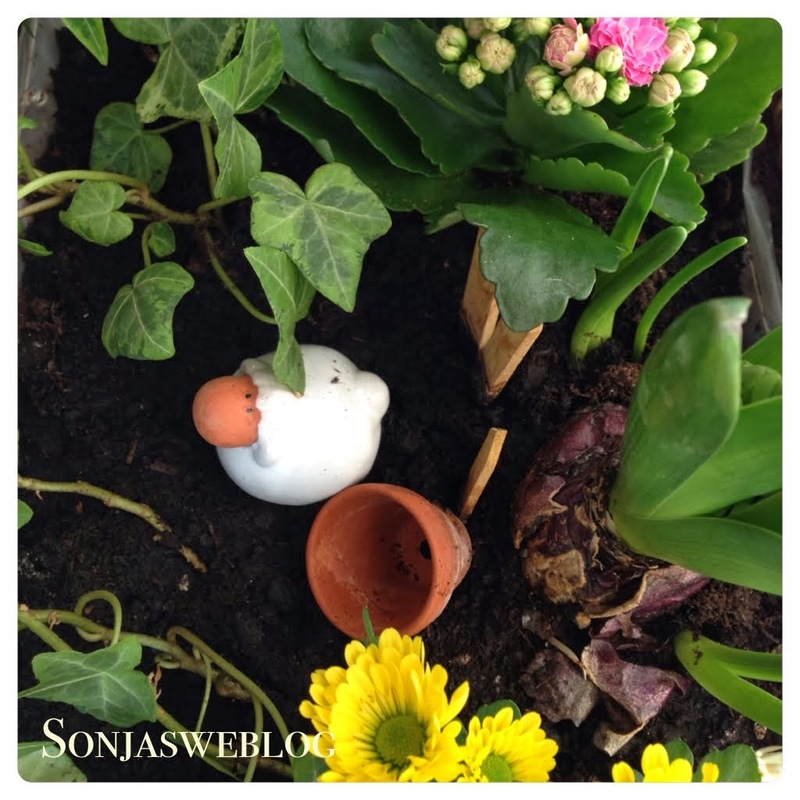 (I bought the bulbs with green leaves and planted them into the basket). Unfortunately they all withered already. So I replaced the daffodils with a hyacinth, "Kalanchoe blossfeldiana" and mini Chrysanthemums. Hope they will survive a bit longer. I loooove the smell of hyacinth! !